Grace Century's Electronic Health Records Project has received it's 12th patent. The Quantum Group Inc.'s latest patent will increase the protection of sensitive patient data against risk of compromise from malware such as worms and Trojan horses. Ras Al Khaimah, United Arab Emirates, August 18, 2016	(Newswire.com) - ​Grace Century’s Electronic Healthcare Record (EHR) Project, the Quantum Group, has received approval from the United States Patent and Trademark Office (USPTO) for its 12th patent. The patent, entitled “Method and system for regulating entry of data into a protected system”, represents a breakthrough in the protection of confidential patient data from certain type of malware including viruses, worms and Trojan horses which can pose a risk to systems containing such data. The approach described in the patent details a double-protection system against malware, whereby an unbreakable “taster” processor preempts any attempts from malware programs to compromise the main processor which executes anti-malware protection software. The processes work would completely and seamlessly in the background, in no way compromising the user experience of the main system in which the processors are being used. Grace Century CEO and Director of Research Scott Wolf said “Quantum have once again demonstrated their dedication to pioneering research and development with their 12th patent, which strengthens their position as a cutting-edge of Electronic Health Record innovator , a field which is increasingly being shown as having the potential to transform the way health professionals inside and outside the U.S can use technology to enhance the quality of care and save the lives. The Electronic Health Records market is expected to experience growth for several years to come, with a recent market research report estimating that the expected compound average growth rate (CAGR) of the market will be of 5.4% from 2015 to 2023, reaching an estimated global value of US$30.28 billion by by 2023. The reported value of the market in 2014 was $18.93 billion, meaning that the 2023 estimate would represent an overall market growth of 60% over this period. 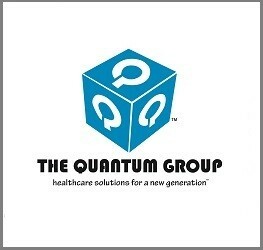 The Quantum Group, Inc. is an innovation-driven organization purposefully designed to bring effective change to the U.S. healthcare industry. The foundation of the Company has been in design, development and deployment of innovative solutions, technology, products and services to the healthcare industry. Our purpose is to seek and assist physicians and hospital providers, as well as government and private sector payers, in managing the treatment outcomes through a patient-centered wellness concept. EHR, Electronic Health Records, Grace Century, New Patent, Scott Wolf, The Quantum Group Inc.